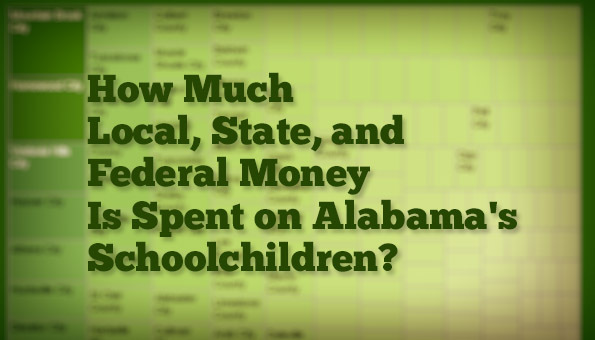 Alabama School Connection » How Much Local, State, and Federal Money Is Spent on Alabama’s Schoolchildren? 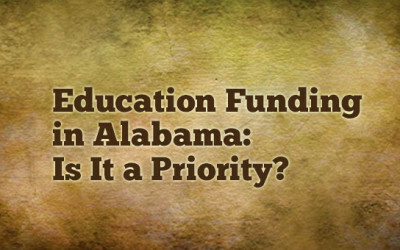 A lot of folks talk a lot about whether public education is funded adequately in Alabama. As we get closer to the time where our legislators will gather to find a solution for the hole in the General Fund, it is imperative that we citizens have a basic understanding of how much money is actually being spent on Alabama’s schoolchildren. The numbers you’ll see here can easily be narrowed down to only those districts that you are concerned about. If you see the numbers for yourself, you’ll better be able to determine which folks are telling the truth about public education funding in the coming weeks. The numbers you’re going to look at were produced by the Alabama State Department of Education for FY14, which ended September 30, 2014. The numbers reflect the per pupil expenditures (PPE) from state, federal, and local revenue. Expenditures are for Instructional Services, Instructional Support Services, Operation and Maintenance, Auxiliary Services, and General Administrative Services. 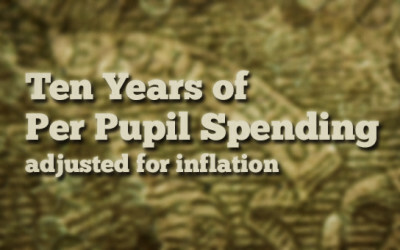 We looked at similar numbers for FY13 in this article, though the numbers were broken down by the type of expenditure. These numbers for FY14 are not broken down by type of expenditure, but rather by the source of the funds for the expenditure. Understanding the wide discrepancies in local funding across Alabama’s school districts is necessary to understand the wide discrepancies in offerings and “extras” among our school districts when state funding is provided for a minimum level of education. Those districts with more local tax money available have been able to not only fill in where state funding has fallen off in recent years, but also to offer additional educational offerings beyond what state and federal funding provides. I want you to spend some time with these data vizzes (yep, that’s what they’re called…”viz” is short for visualization). I’ve pulled together various pieces of information to give as broad a picture of a school district as possible while still looking at dollars allocated and spent. You can use the various menus in each viz to manipulate which districts appear within your view. This first viz is a simple look at the total PPE in each school district. The bars are color-coded by source of revenue for the expenditure. Use the menus to narrow down or to regroup the school districts as indicated. The “Area Name” is taken from the way the ALSDE grouped standardized testing information in years past. Locale names come from the National Center for Education Statistics (NCES). NCES breaks locales into two descriptors, e.g., “Rural: Remote”, but I grouped them according to the first descriptor. “F/R Meal Student %” is the percentage of students in the district eligible for free or reduced-price meals and has been used as a proxy for poverty (though that will be changing soon). This next viz breaks apart the three sources of income for PPE into three separate views. You can control the views in all three with just the one set of menus to the right. Note that the median (represented by the dark line in each view) changes when you change the districts you are viewing. This next view plots the percentage of students eligible for free or reduced-price meals alongside the amount of local money spent on PPE. This view and the next one also display more information about the race and ethnicity of the students enrolled in the district. As it states within the view, the size of the circle on the plot corresponds to the enrollment in the district. The color of the circle corresponds to the percentage of white students in the district. Use the sliders to the right to narrow down districts appearing on the viz by ADM (enrollment) or by locally-funded PPE. This last view breaks down locally-funded PPE as in the first and second vizzes, and adds enrollment information and plots a median (which changes as you narrow down your view with the menus). In addition, the treemap allows a quick visual of the proportional differences among local PPE. What do you see? What is missing? What sense can you make of this information? Share here or on our Facebook page.